Great to see our favourite Suffolk scamps Horse Party join a fab line-up at the X-Posure All-Dayer on Saturday 30th January 2016. Hosted by John Kennedy from Radio X, the fun kicks off at the Camden Barfly at 2pm. 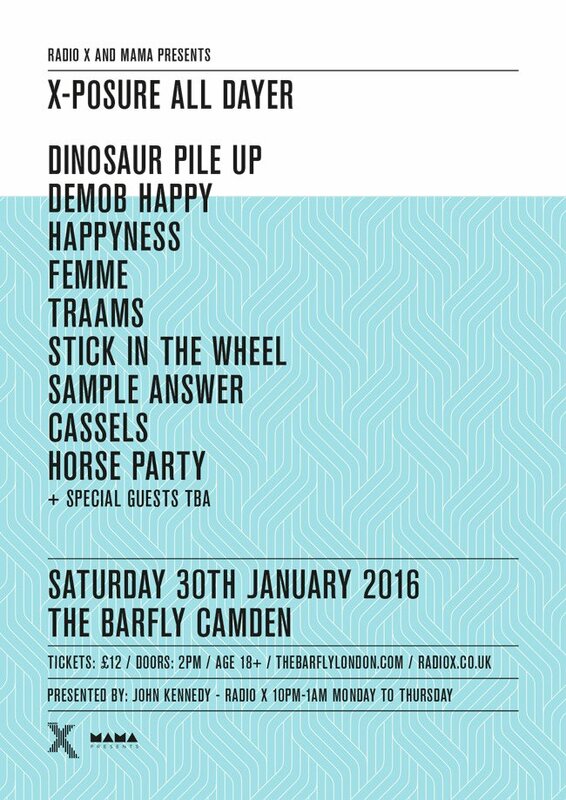 Tickets are just £12 for a fantastic line-up including Dinosaur Pile Up, Demob Happy, Femme and Traams. Horse Party‘s latest single offering is ‘Gratitude Falling‘ which you can stream at Spotify here. Or watch a video taken of the band playing the single at Latitude Festival here. This entry was posted in News-Posts and tagged camden barfly, dinosaur pile up, gratitude falling, horse party, John Kennedy, latitude festival, radio x, traams, x-posure, XFM. Bookmark the permalink.